Yemeni sources say Houthi fighters shot down an Apache helicopter of the Saudi army over Jahfan in Jizan province. Sana’a(ANN)-Yemeni sources say Houthi fighters shot down an Apache helicopter of the Saudi army over Jahfan in Jizan province. 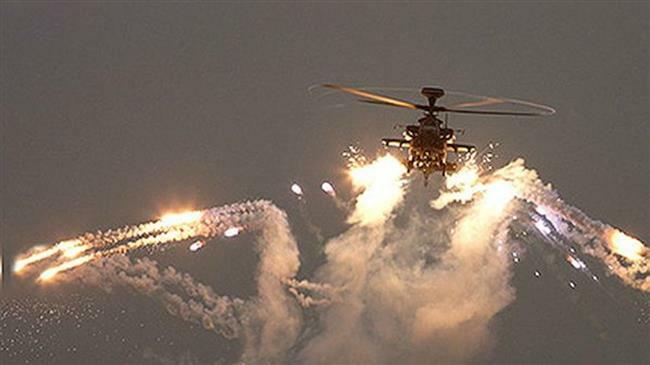 Yemeni forces have reportedly shot down a Saudi Apache helicopter gunship in the southwestern region of Jizan, in a retaliatory attack that killed all those on board. 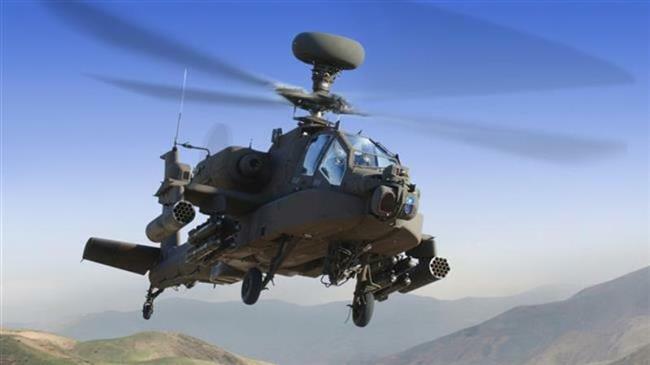 “Air defense of popular Houthi Ansarullah movement has shot down an Apache helicopter of the Saudi army while it was flying over Jahfan in Jizan,” a military source told Russia’s Sputnik news agency on Thursday. All crew members were killed in the attack, it added. Earlier, the Houthis said they shot down a CH-4 reconnaissance drone belonging to the Saudi-led coalition in the nearby region of Asir. Yemen’s al-Masirah television network, meanwhile, reported on Friday that at least 73 members of the Saudi-led forces have been killed in Yemen’s retaliatory attacks over the past month. It released a list of the fatalities on Friday, saying the count was based on reports published in the kingdom’s official Saudi Press Agency and different Saudi websites and social networks. Citing Saudi state media on Tuesday, Al Jazeera reported that more than 1,000 members of the Saudi-led troops have been killed since 2015. Saudi troops and their allied mercenaries are currently pushing to seize the Yemeni port of Hudaydah, through which the bulk of the international humanitarian aid enter the country. ​”We’re extremely concerned about the situation around Hudaydah. Our colleagues in the area have started to take precautionary measures in terms of ramping up assistance and redefining contingency plans in case of this further escalation,” said UN Secretary-General spokesperson Stephane Dujarric. Saudi Arabia is also setting up an airport in the west-central Yemeni province of Ma’rib, the UAE’s al-Ain news agency reported. It cited Aden-based Saudi envoy Mohammed Al Jaber as saying that the potential terminal was to “replace” the Sana’a International Airport in Yemen’s capital — which is under the Houthi control. The Saudi-led war has already driven the entire impoverished country close to the brink of famine amid a crippling blockade which Riyadh says is aimed at stemming weapons shipments to the country.